(Trent Nelson | The Salt Lake Tribune) The Tabernacle Choir at Temple Square during the afternoon session of the189th Annual General Conference of The Church of Jesus Christ of Latter-day Saints in Salt Lake City on Sunday April 7, 2019. The Church of Jesus Christ of Latter-day Saints has added a new full-time organist to its team of musicians at Temple Square. 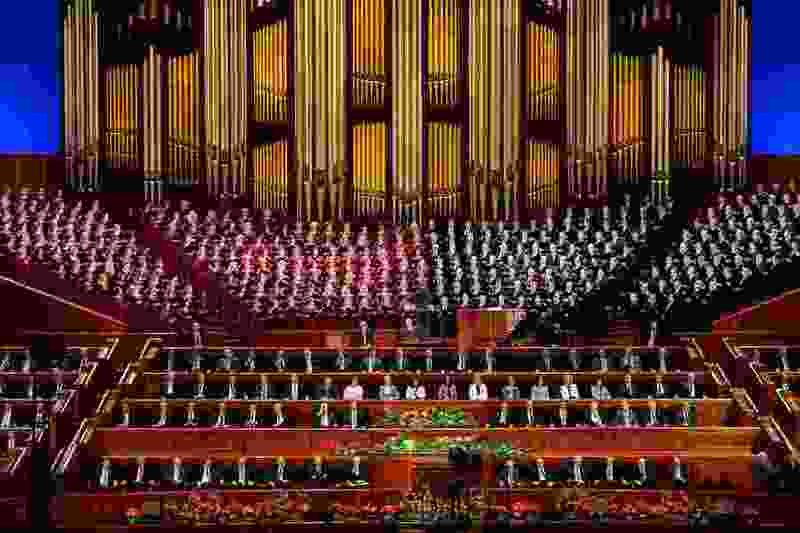 Joseph Peeples, who earned a master’s degree in organ performance from Brigham Young University, is the newest organist for The Tabernacle Choir at Temple Square, the church announced Friday. Organists are key members of the Tabernacle Choir’s musical staff and are known for their high level of skills, the church said. They bring the sound of the iconic Tabernacle and Conference Center organs alive for audiences from around the world. Peeples previously served as the university organist at California Lutheran University in Thousand Oaks, Calif., where he taught courses in applied organ, keyboard harmony and music appreciation. He also has been serving as organist at First United Methodist Church in Santa Barbara, where he accompanied the Chancel Choir. Kirby: Would you trade your cottage for pottage? When he begins in June, Peeples will join three full-time and two part-time Temple Square organists.